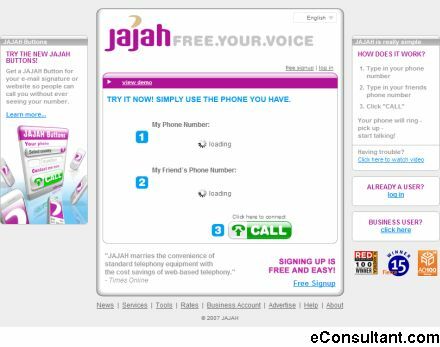 Description : JAJAH is an innovative and simple way to make cheap phone calls using the Internet without headphones, microphones or having to install any software at all. JAJAH connects two standard telephone machines, whether they are landline or mobile, local or anywhere else in the world, regardless if the owner is connected to the Internet or not. JAJAH is just like using your regular phone, only a lot cheaper!